Selected entry programme. Applications close 31 October 2018. The Master of Journalism at Massey will give you a qualification of top international standing. Based on leading overseas qualifications, it blends practical skills with the academic study of journalism. It will build a foundation for a career in journalism, or, if you are already a journalist, help you move to the next stage of your career. Massey’s lecturers are experienced journalists and educators. They have a proven track record in mentoring students to become professional journalists, and mentoring journalists to reach higher levels of the profession. Massey students have an unmatched record in winning the top journalism awards. Our journalism programme is the only one in Australia and New Zealand to be recognised by the US-based Accrediting Council on Education in Journalism and Mass Communication. Top US accredited programmes include the Missouri School of Journalism, and the Columbia School of Journalism. Accreditation recognises the Massey course's top international standing, excellent connections with industry, commitment to constant improvement, strong leadership and quality research output. Massey University’s communication and media studies ranks in the top 200 world-wide (by QS (Quacquarelli Symonds) rankings). If you have an undergraduate degree and wish to enter the journalism industry, your first two semesters (one year full-time study) will be on Massey University’s Postgraduate Diploma in Journalism programme. The remaining semester (six months full-time) is focussed on an extended, in-depth piece of journalism suitable for publication, with an additional academic component. This is known as Pathway One. You will learn the skills you need to be a successful journalist: news reporting, feature writing, radio and television reporting. You will produce a portfolio of stories covering breaking news, politics, sports, arts and general news, which will help you get the job you want. The course effectively has a 100 per cent employment rate. The Master of Journalism offers another option for those who have journalism experience (three or more years) as well as an undergraduate degree. You may be a mid-career journalist who wishes to learn how to undertake an advanced investigation and publish a long-form piece of journalism; you may be interested in gaining a higher-qualification as a step to gaining a PhD and entering the world of academic research and teaching. This qualification will help you make the next step in your professional development. The first year of your study will consist of courses that make up Massey’s Postgraduate Diploma in Communication or Massey’s Postgraduate Diploma in Business. You will then progress to a project-based semester (six months full-time) to complete an extended, in-depth piece of journalism with an additional academic component which completes your Master of Journalism. This option is known as Pathway Two. The Massey journalism programme enjoys a close working relationship with the country’s leading news organisations. Stuff, for instance, has hired many of our graduates, hosts our students on work internships and funds prizes, such as the Alex Veysey Memorial Prize, for our top students. For those just entering the industry, one of the most important features of the programme is the many weeks of on-the-job work experience that form part of the first year. If your first year is the Postgraduate Diploma in Journalism, you will spend time over several weeks working at a leading news organisation such as Stuff, NZME, Radio New Zealand or TVNZ. Want a degree recognised in the U.S. and U.K.
After completing her Postgraduate Diploma in Journalism, Jess completed the Master of Journalism by researching and writing a piece of long-form journalism and an academic research report critically reflecting on the experience. Jess’s long-form journalism was on Pharmac’s funding of expensive drugs for people with rare diseases. She also saw the qualification as an important step in her plan to work overseas as a journalist. Her advice to others planning to do the Master of Journalism is to find a topic you are passionate about and to enjoy the experience. 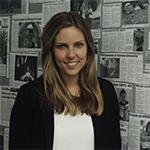 Initially Jess worked as a reporter at a regional newspaper. She is now a producer for Morning Report at Radio New Zealand. Graduates of our programme have gone on to work at New Zealand's top newspapers, news websites, magazines, radio and television stations, as well as at the BBC, CNN, SBS in Australia and countless overseas newspapers and magazines. One of our graduates, Alison McCulloch, was part of the team that won a Pulitzer Prize in journalism for its coverage of the Columbine killings. Massey’s journalism staff are experts in journalism research and teaching. They have all had many years experience as professional journalists or journalism researchers, and as journalism teachers. James heads the master's journalism programme at Massey. He has worked in senior roles in newspapers and radio. 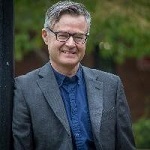 His doctoral dissertation was on the decision-making processes of reluctant witnesses, and he has published on the characteristics and attitudes of New Zealand journalists, media reporting of suicide, disaster reporting, and the practice of investigative journalism. He is also interested in journalism psychology, photojournalism, and contemporary journalism practice. He is also co-founder of the New Zealand Centre for Investigative Journalism.